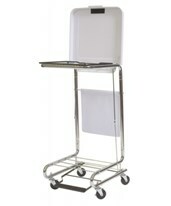 Medical Hampers are a vital piece of equipment to have readily available in any health care environment. 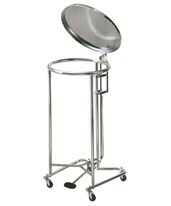 Here at Tiger Medical we offer a variety of hampers including folding, round, tilt top, triangular and square hampers. 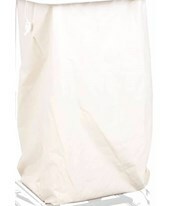 To help prevent bacteria and odor from spreading try the lidded medical laundry hampers. 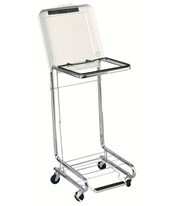 The lidded hampers come with a foot operated tilt lid for hands free loading and unloading. 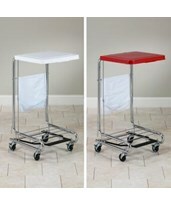 If looking for a compact easy to transport product check out the folding linen hampers. 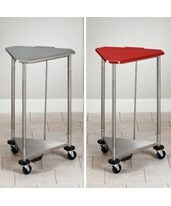 These are collapsible and can be stored in tight areas when not in use. 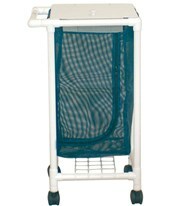 Brewer and Clinton Industries both offer an adjustable folding hamper. The triangular hampers are ideal for space saving situations. 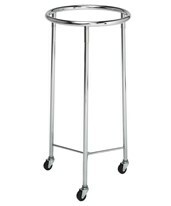 All our hampers are made from durable, long lasting materials like steel with a powder coated or chrome finish. If you have any questions please feel free to contact our friendly customer service for assistance! Adjusts to Hold 18", 22", or 25". Diameter Bags. 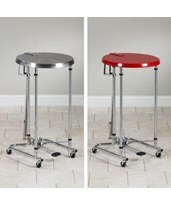 Durable Chrome Plated Finish and Solid Steel Bag Rest. Bag Rest Allows Maximum Air Circulation. 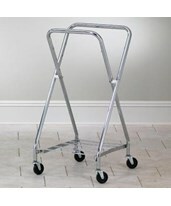 Sturdy Four-Wheel Base w/ 3" Rubber Wheel, Ball Bearing Casters. 39.5". 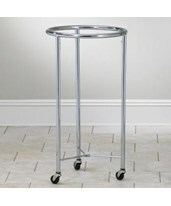 Steel Five Years 18", 22" , 25"
3 2” Rubber Wheel, Ball Bearing Casters. 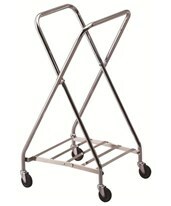 Sturdy four-wheel base w/ 2" rubber wheel, ball bearing casters. 35.75" Steel Five Years 18"
37" Steel Five Years 19.5"
36.50" Steel Three Years 19.5"
32" Steel Three Years 18"
35" Steel Three Years 18"
42" Steel Three Years 19.75"
37.5" Steel Three Years 19.5"
Available in 18" or 25"
H-18: Drawstring Style Cloth Hamper Bag, 18"
H-25: Drawstring Style Cloth Hamper Bag, 25"
37.5" PVC Plastic/Mesh 5 Year Warranty on Frame 21"